The Meadows offers the right combination of a beautiful CT wedding venue, ideal location, exceptional catering and excellent service. Together with our Venue Manager, Gourmet Galley Catering, we are able to offer our couples delicious food that will delight your guests! 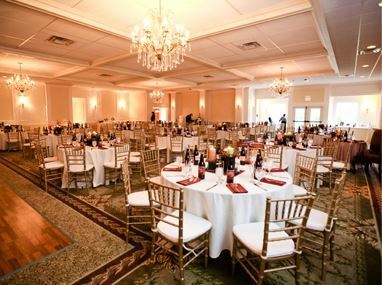 The Meadows is the perfect place to host your Connecticut wedding reception or special event! The Meadows is located at the entrance of the picturesque Stonington Borough and is just minutes from Watch Hill, Mystic Seaport and area casinos which allows for a fun getaway for all your out of town guests. Your choice of a beautifully prepared plated or buffet dinner. Both include a cocktail hour display of cheese and crudité and a buttercream wedding cake. Menus start at $89 per person and includes all service charges. Beautiful gardens available for ceremonies.